Light metal screen weaving machine of YDW series is made under world-advanced technique. The machine fills the vacancy in metal wire screens weaving equipment in China and can replace the import ones. The metal wire screens woven with the machines are widely used for filtering of liquid or petrochemical industry, machinery, military industry, space flight and etc. 1. Adaptability to metal wires; adapt to various imported and domestic metal wires. 2. Large adjust range: This metal wire screen weaving machine can produce not only square opening wire mesh ranging from 14-500 mesh but also special kinds up to 2800 mesh, such as plain weaving, twilled weaving and taper contrast high density screen weaving, etc. 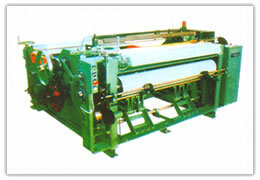 Wire mesh products woven with the machine have advantage over products woven with other machines. 3. 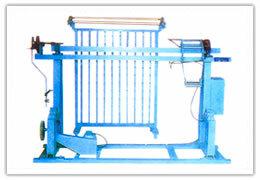 The machine adopts technique of shuttless and straightaway weft leading, automatic warp feeding and winding. Sheddings are small and surfaces of woven screens are smooth. There are no bright spots, bright traces or other defects on the fine screens. The machine can make high-grade metal wire screens that are up to or above the second grade in standard of GB5330-42002. 4. Lower center of the gravity, good stability, low noise and energy consumption, high efficiency. 5. Rational design, simple construction, easy to operate and maintain.